When your furry best friend is sick, it’s a stressful time. But of all the news a pet parent can receive from their veterinarian, pet cancer is the one that is perhaps the worst to hear. 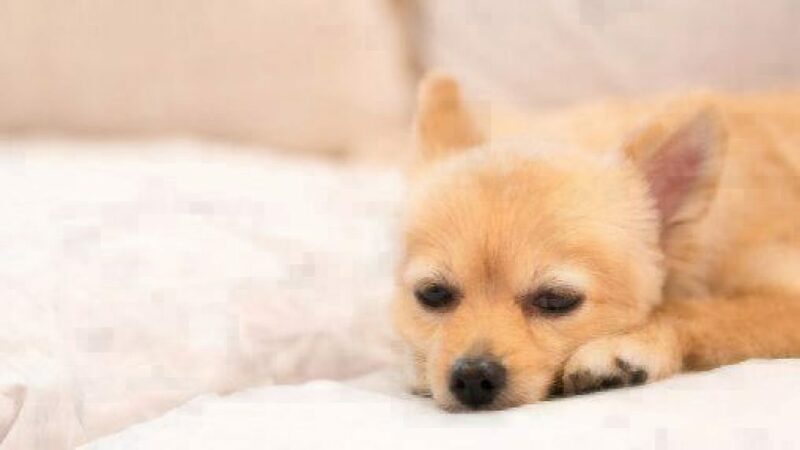 Unfortunately, cancer is the number one cause of death in senior pets – and furthermore, 1 in 4 dogs will develop a tumor sometime in its lifetime. Cancer is expensive to treat. On average, a cancer treatment regimen can cost $10,000 and up. These costs are often broken up over a period of 8 weeks from initial diagnosis, mass removal or chemotherapy, to follow up blood work, x-rays and medication. 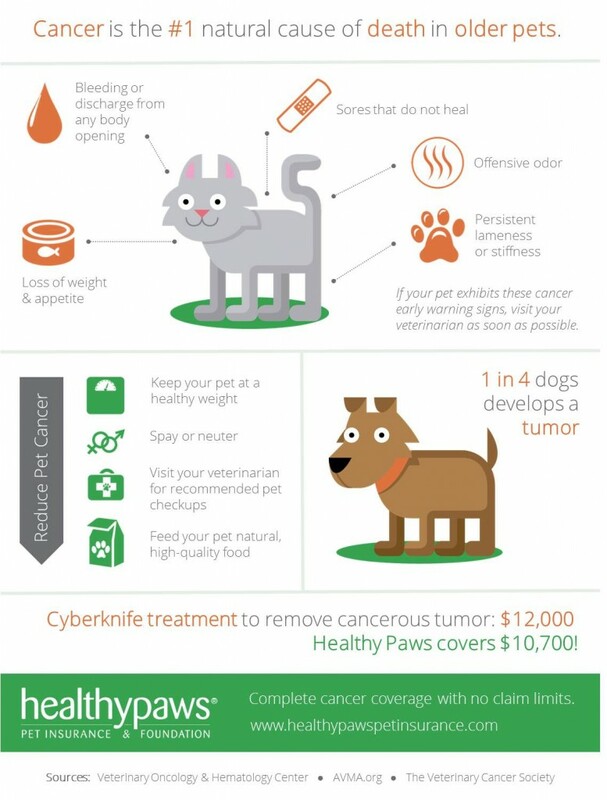 You can help prevent cancer in pets by keeping your pet at a healthy weight, spay or neuter your pet, get regular checkups from your veterinarian, and feed your pet natural, high-quality food. However, sometimes a cancer diagnosis is not preventable, so being prepared to fight it is your best chance to save your furry family member. Beating cancer is tough enough – with Healthy Paws, pet parents don’t have to choose between their pet and their wallet. 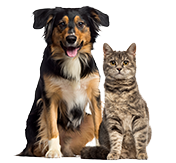 By signing up for pet insurance when pets are young, ongoing treatments will be covered up to 90%. Find out more by getting a free quote.